There are (of course) lots of other sources but the above are well written (for general audiences) and full of relevant examples vs. obtuse theory. Quick disclaimer: I need to declare a personal interest/bias. I believe brain plasticity is inherent in the success of multisensory environments (Snoezelen), which are the primary component of one of our philanthropic initiatives, (www.cdhaf.org) the Christopher Douglas Hidden Angel Foundation. 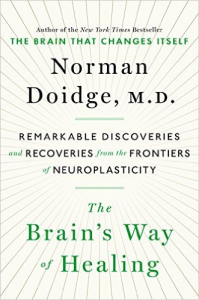 In summary, Doidge and others have assembled ample evidence of the brains ability to heal, preserve itself, and improve its functioning. In one of the most telling summaries: it is now clear that our brains, like our bodies, are far more likely to waste away from underuse than to wear down from overuse. Plasticity is arguably the most encouraging aspect of neuroscience since it comforts us – it tells us we can recover from injury and we can master new skills! Given early thinking about the brains ‘cast in stone’ nature (based largely on its complexity) some of the new concepts are mind blowing (pun intended). Can you master a new skill? After all the years invested in mastering skills – do we need to watch them wither away – prematurely? So – with all these benefits in mind, you, the (above) average business leader, must ask the inevitable question: How do I add plastic(ity) to my (essential) carbon and (optional) silicon based life? The answer is simple: exercise – both physical and mental. Let’s look at them separately, although elsewhere I do argue the mind and body are inseparable – especially in a mentally and physically challenging environment like business. Here are a few things to consider when your CBA (cost business analysis) suggests you either miss your gym time or adjust your business day. On the body side it is, for all practical purposes, about aerobic exercise. The recommended level varies but even in the context of driven business leaders/builders it is not much (3-5 hours/week). But as with most things (speaking practically not philosophically) more is better. Take comfort though that anything is better than nothing. What’s the tradeoff for your precious time? 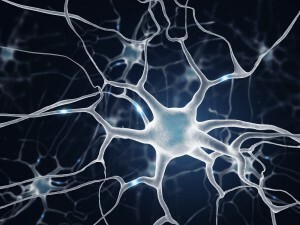 Just to repeat my earlier caveat (and disagree with Mr. Edison): body and brain evolved so they could act symbiotically. In writing this I have tried to find the right altitude – not buried in the weeds or at distorted view of 30,000 feet. With a bit of encouragement I would be happy to go into more detail. 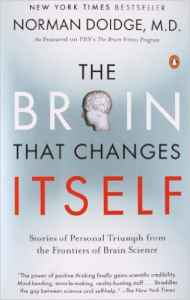 Clearly, we can’t be promoting our Business Brain Model without discussion on how to improve the brain.